I don’t know about you, but I’m used to running around exhibitions, maybe taking photographs of the information so I can eventually read it. It isn’t often that I get to hear the artist talking about their work and motivation. Dominic created the first installation for The Core at Science Central – Mini Cathedral. It was inspired by Durham Cathedral and much loved car manufacturer Mini, an interesting combination when looking at the future of driverless transport (the idea was that the driver could sleep whilst the vehicle took them to their destination) The focus of the talk is creativity and how to avoid being creatively blocked (another reason to attend). He believes that if we look hard enough, we can find creative inspiration anywhere and at anytime. If you’re desperately seeking inspiration and are interested by innovation, this is definitely worth a lot. 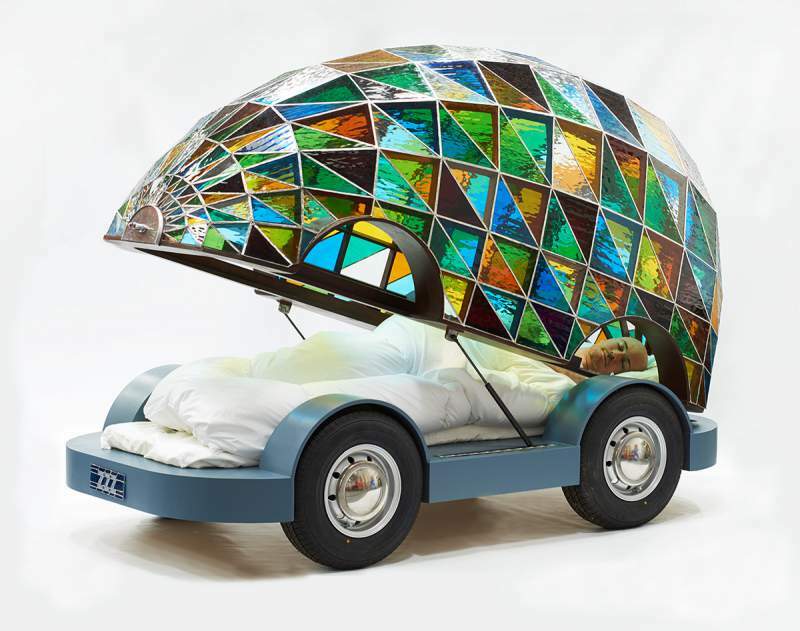 Dominic Wilcox will hold his talk at 6.30pm on Tuesday 25th November at The Core, Newcastle.